Are You a Candidate for CSL? In my opinion, New Year’s resolutions are pretty worthless. I can’t tell you how many years I’ve “committed” to dropping weight, eating better, saving more, working harder, blah, blah, blah. Why was it that these well-meaning resolutions never took root? Well, there were 2 major reasons I believe. #1 I never wrote them down. If you talk to any successful people that are high achievers, you’ll most likely find that they have them written down somewhere they are forced to look at them on a regular basis. In Weldon Long’s awesome book “The Power of Consistency”, he shows you how to create a Prosperity Plan. This is one of the most powerful tools I’ve used in managing personal and professional goals. Weldon gets an A+ for this work. See the link below to purchase his book on Amazon. I don’t get a cut but I know you’ll benefit from his story and his business wisdom. #2 I had nobody to hold me accountable. 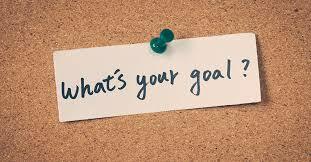 Most people don’t have problems making goals and plans, they have a problem sticking to them. Telling someone you trust and having them become your “accountability partner” is very valuable. At Contractor Succession, Marty and Scott provide that service. Our clients appreciate the emails, phone calls and meetings reminding them of what they agreed to do in order to focus on the important and not just the urgent. That’s our job and we take it seriously. Contractor Succession is committed to helping contractor business owners improve the salability of their business through business coaching and best practices. Make 2019 the year of fulfilled resolutions. Contact us to discuss how we can help you plan for your successful exit.